This article was published by Dr. Erik in the Telegraph Journal online and KV Style in early 2017. New Brunswick is having some tough financial times, and it’s likely to keep going. Currently, of the 31% of the budget spent to run our health system, we pay $3,333 per New Brunswicker. Man, woman, and child. While we can currently support people’s needs, the baby boomers are aging and we are going to experience extreme price inflation in the cost of healthcare. We need to look at this as an opportunity to not just cut, but invest in areas that are going to support this demographic shift. The current health system in the province, developed in the 1950s, was not designed to support these kinds of population needs including the longevity of life that we now enjoy. Born between 1947 and 1966 the oldest of the boomers are currently 70. 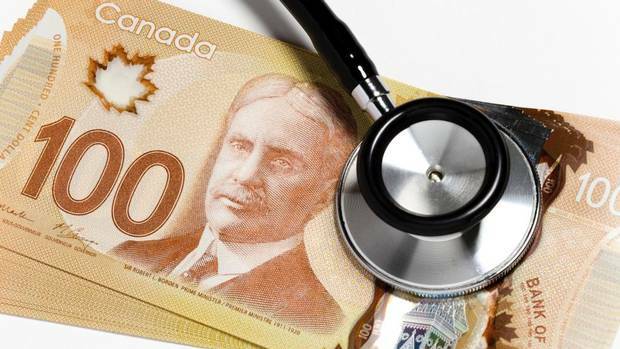 According to the Canadian Institute of Health Information, Canadians aged 15-65 use $2500 per year in health services. By age 70, that number quadruples to $10,000 per person, per year. Octogenarians, in their 9th decade of life require health services costing $20,000 per year. However, the folks who are now becoming seniors are hardworking people who have paid very high taxes, raised families, and contributed to society all throughout their adult lives. They deserve more than merely a discussion about numbers. They deserve dialogue on how we can do things better. I was raised by my grandparents and I cannot bear the thought of what will happen when we run out of options. To use a baseball analogy, we’re currently tracking down a fly ball on the warning track, running at full speed toward that proverbial wall. The recent decision to not address the health system as part of the Strategic Program Review was short sighted. You can only cut the pen budget so much, and some of our health practitioners are being asked to bring their own pens! New Brunswick is actually ahead of this silver tsunami with the second highest number of seniors over the age of 65 in Canada, making up approximately 16% of the population. The earliest of the baby boomers, THIS YEAR, will experience a 300% increase in their health expenditures on average. In ten years, that number doubles again. It is all well and good that those of us involved in healthcare can spout scary budget numbers that most people don’t really care about, however this is about people. The quality of life of parents, grandparents, and loved ones are all central to this issue. With serious decisions facing the government and voters over the next year, ten years, and beyond it is important to have further knowledge into how our health system is delivered, administered, and managed in New Brunswick. Most people, including those who work in the system have little to no idea! We also should use issues facing us in this world to learn from as well. Completing a four year term with the Horizon Health Network board, I have the unique insight from this experience and that of being a healthcare provider. In Dr. Erik’s Daily Apple I plan to share my thoughts on wellness matters, the business and politics of health, and other areas of importance that the reader is unlikely to get anywhere else. I hope you enjoy these thoughts, and I hope our ongoing discussion together will in some small way be part of a solution to a problem that only we the people can solve. Dr. Erik Klein is a health policy expert, published author, and practicing Chiropractor in Saint John and Hampton. Dr. Erik is the CEO of Town Health Solutions with clinics across New Brunswick and a former member of the Horizon Health hospital board. He can be reached at 652-5222 or drerikceo@townhealthsolutions.com. For further information please go to www.townhealthsolutions.com or search us on Facebook.